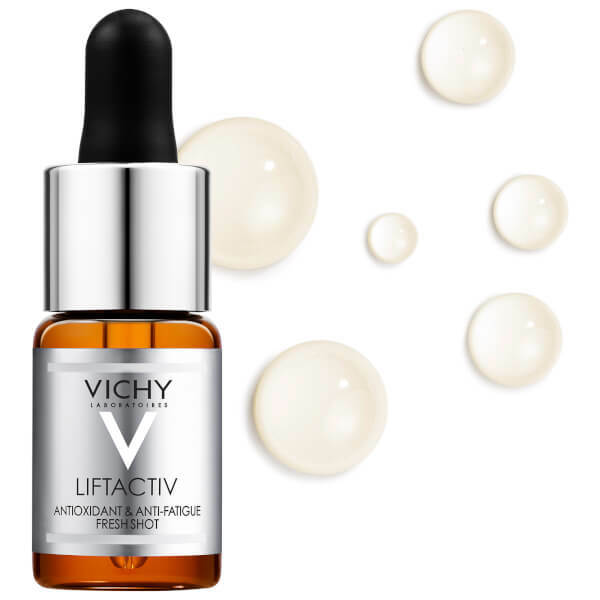 Revive dull, tired skin with the Vichy Liftactiv Vitamin C Skin Brightening Corrector, an illuminating solution enriched with Vitamin C to enliven the complexion. 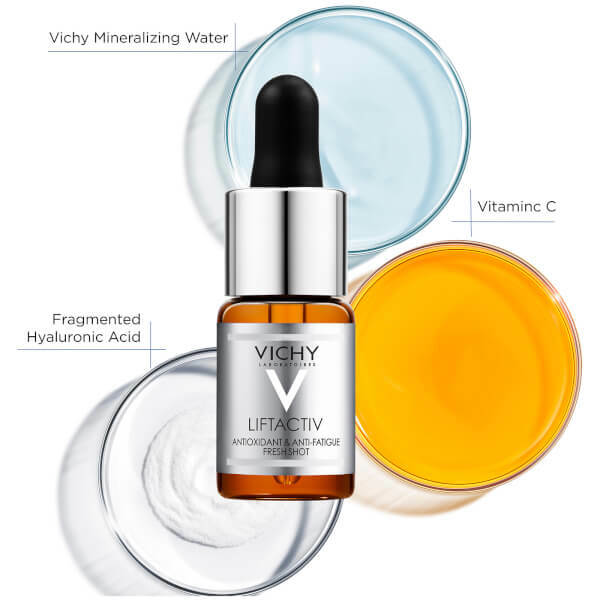 Formulated with 15% pure Vitamin C, Vitamin E and fragmented Hyaluronic Acid, the antioxidant-rich formula contains more Vitamin C than 20 oranges, and instantly smoothens and softens the appearance of skin. 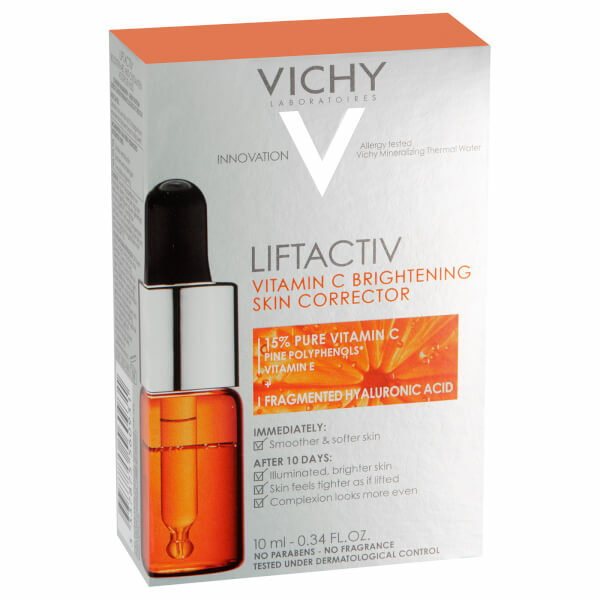 With continued use, skin appears firmer and lifted with improved tone and radiance. 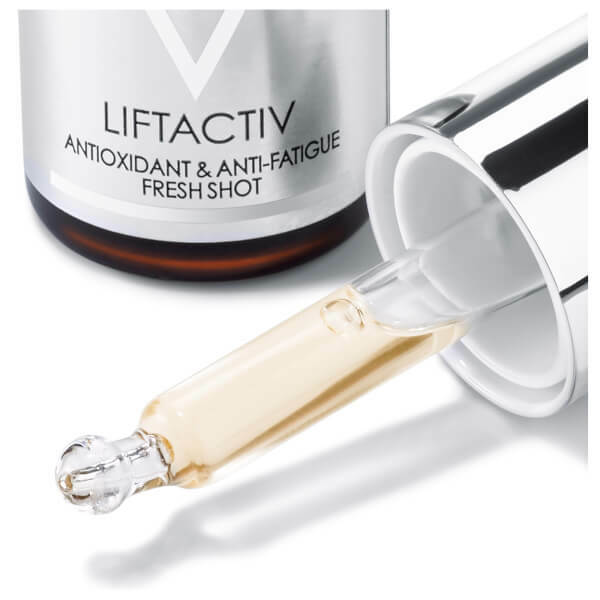 Witness a rested and refreshed complexion. Free from parabens, fragrance and silicon. Tested under dermatological control. Hypoallergenic. Place 4 to 5 drops in the palm of a clean hand. Apply once per day (morning or evening) using fingertips on freshly cleansed and dry skin. Avoid the eye and lip area. 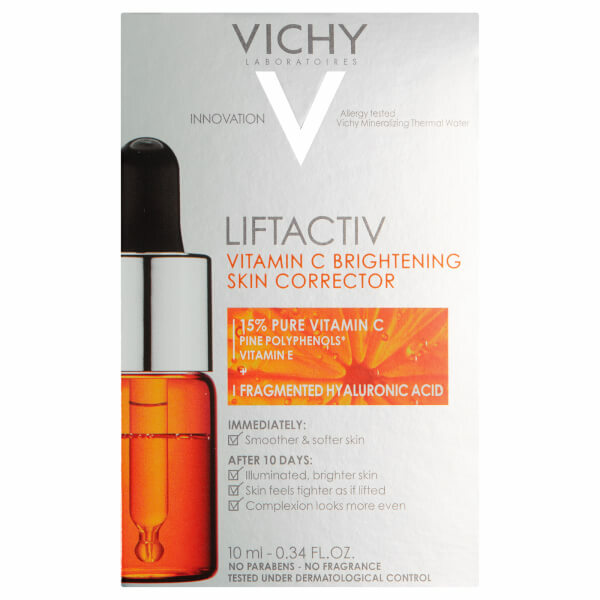 Follow up with a minimum SPF 15 product. Use the product for 10 days continuously for best results. 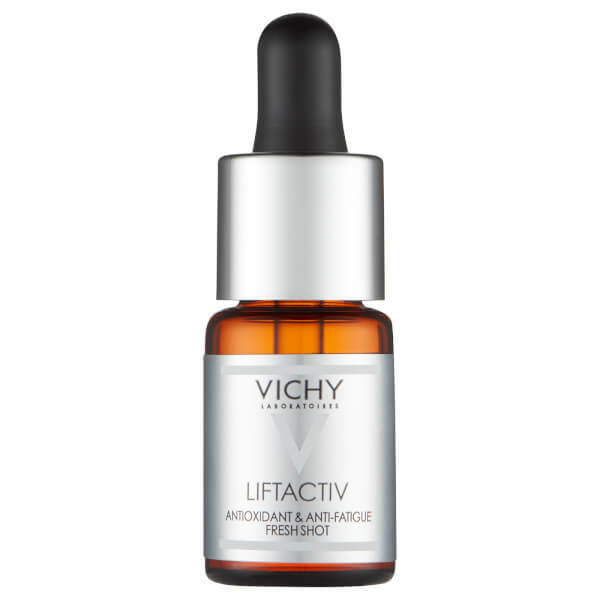 Use as a 10 day treatment for whenever you want rested and brighter skin. It is recommended to not use this product along with any other skin abrasive peel or product containing acids as this may lead to skin irritation. 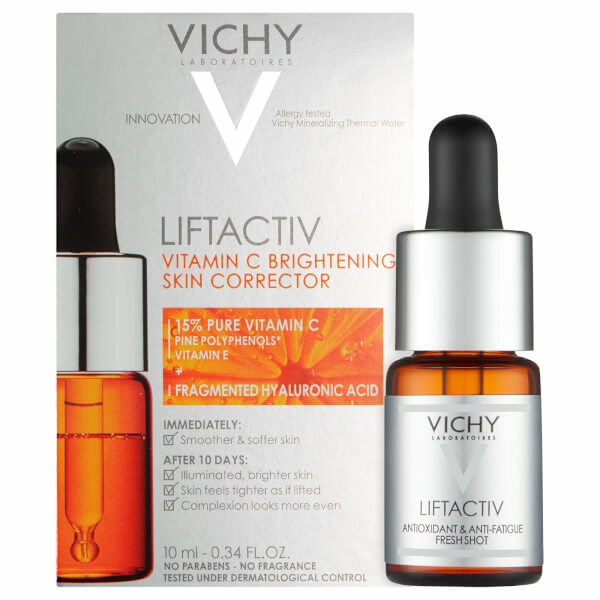 The initial reaction to the product may be a slight tingling sensation as your skin gets used to the Vitamin C. This is considered a normal reaction, however if you experience stinging or burning sensation, please discontinue use. Aqua/ Water, Ascorbic Acid, Alcohol Denat., Dipropylene Glycol, Glycerin, Laureth-23, Neohesperidin Dihydrochalcone, Sodium Hydroxide, Tocopherol , Hydrolyzed Hyaluronic Acid, Pinus Pinaster Bark/ Bud Extract, Code. F.I.L: B199063/1.